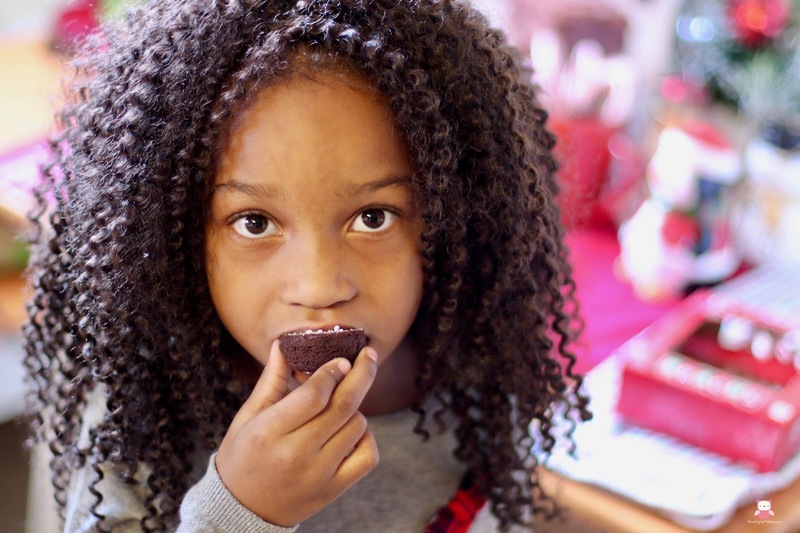 Our Peppermint Dusted Brownie Bites are super easy to make and kid friendly. Growing up I just loved the holidays. Christmas was one of my favorite holiday because not only was I going to be out of school for a few weeks, but I was also going to be getting new gifts, items that I may have probably wanted all year long. Another reason I just loved the holidays was the fact that my mom would cook up a storm in the kitchen. In the Caribbean there was no such thing as Thanksgiving, so everyone looked forward to Christmas. Christmas was our Thanksgiving rolled into one. It was the time that family and friends would get together and eat and be merry. From the traditional curry goat to rum fruit cake, that was mostly rum and could get you drunk, it was a tradition that I love and still miss to this day. Don't get me wrong, I still do a mini version of the Caribbean holidays here in my house, and while my children are all Americans, I want my children to learn a little about their culture. 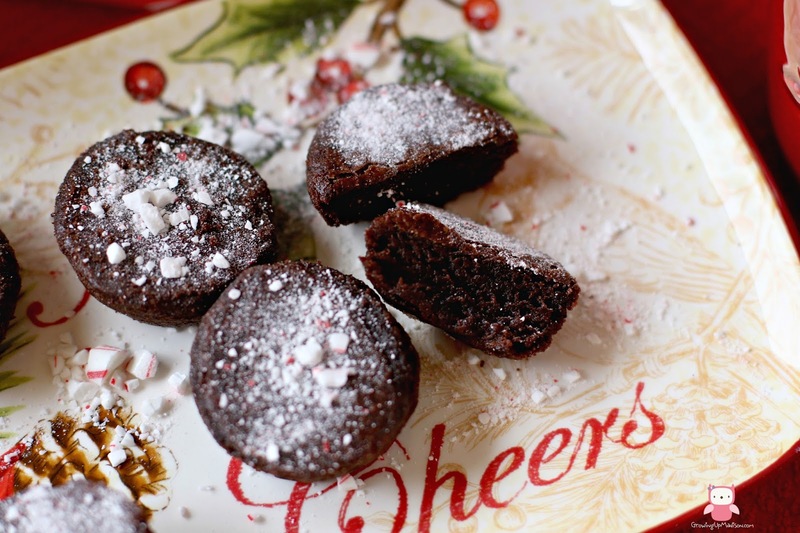 Today I want to share with you my Peppermint Dusted Brownie Bites. I am not the best baker, so I love to do things that are simple. 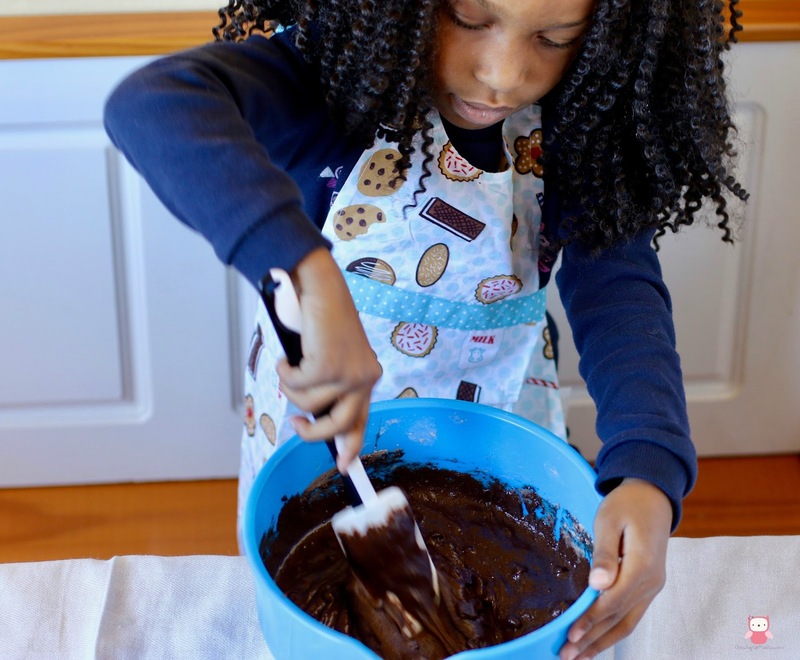 I also have a 4yr old who just loves to help out in the kitchen, whether it be by helping to add the ingredients or mixing it together, she wants to be part of the entire process. I have to admit that I am also one of those person who likes to scramble around at the very last minute, getting things together, and I am pretty sure that I am not alone. I recently saw this Entertaining Guide from Sams Club and they nailed it right on the head. I am truly the Last-Minute Merry Maker! How did they know? When you have a household of 4 children and a husband who who isn't that much help in the kitchen, I'd much rather get in and get out as quickly as possible and with something that everyone will love. While they all love my main dishes, they are also really big fans of sweets, especially brownies. Now I have never been one to make the perfect brownie, but they can all tell you that they come out moist and delicious! Whenever I'm shopping or preparing for any big holiday, I always make a stop to Sams Club. For me it just makes absolute sense. If I'm going big, I need bigger packages of items and with a family of 6 that's already big, but when you're catering to guests, you need to go bigger. On my recent run I found the Betty Crocker Ultimate Chocolate Brownie Mix. This package contains 4 packages of brownie mix instead of your usual one. Now Madison just LOVES to help out in the kitchen. I couldn't have asked for a better helper. Whenever I'm in the kitchen she's always close by, willing to help. Whether it's by adding the ingredients to a recipe, or even mixing it together, she dons her apron and gets to work. When I decided on making my brownies, she of course wanted to mix. How could I deny help? I however decided that instead of making the usual brownie bars, I was going to make brownie bites. I've gained quite a few pounds since leaving the military and I've been trying to lose it without much success. With my brownie bites, I'm able to do portion control and who said smaller isn't better? I originally decided to make them muffin size and they were a disaster. I'm going to admit that I'm not the perfect Suzy Homemaker. I'm just the average mom with little time to spend doing the million of things that is needed around the house. I'm just like you and the less time I can spend in the kitchen the better. I'd much rather spend my time with my family, but my food still need to be edible. Doing things from scratch is all fine and dandy, but sometimes you need a bit of help, that's why I just LOVE the Betty Crocker Ultimate Chocolate Brownie Mix. I was able to mess up and still had more packages available to do a second batch without having to run back out to the supermarket. Who has time for that? Make your brownies according to the directions on the box. 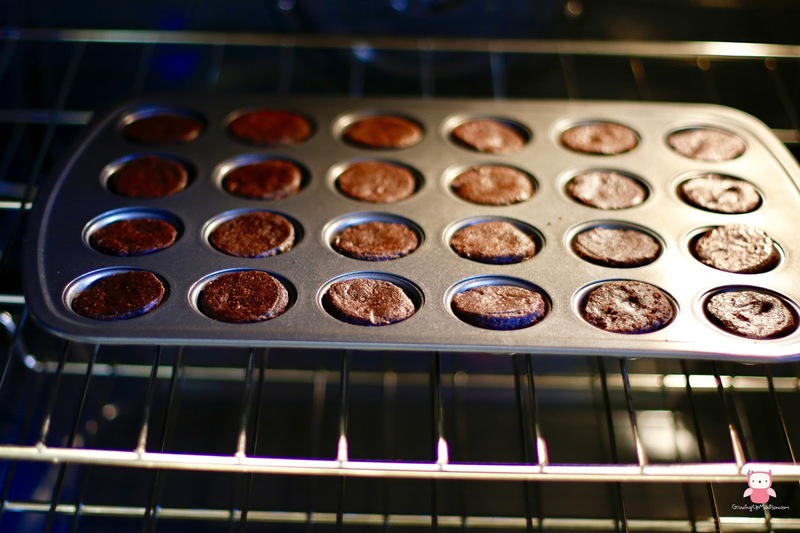 Be sure to liberally spray your mini muffin pan with your cooking spray to ensure that your brownies come out easier. While your brownies are in the oven crush up your peppermint candy canes into as fine pieces as you can. I used the smooth side of a meat tenderizer. I like to jokingly call it Candy Crush! You want it to look like dust although you can expect a few chunks as well. 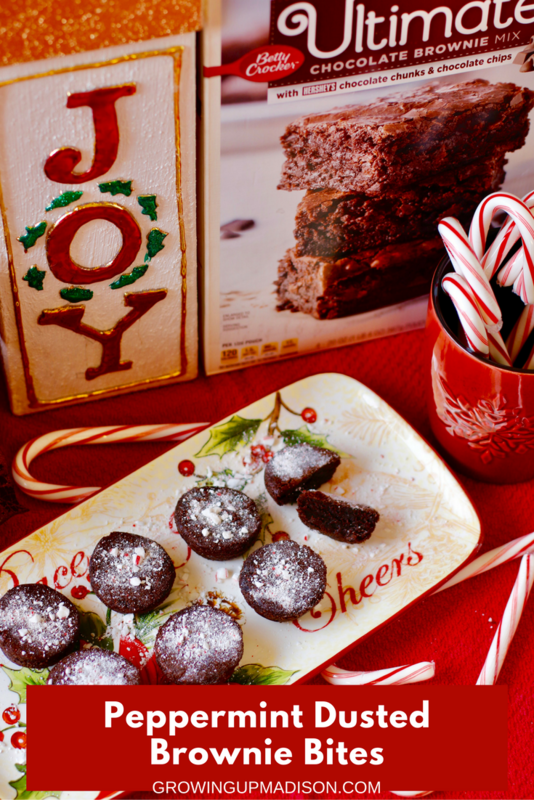 When your brownies are done, sprinkle your candy cane dust on your brownie while they are warm and allow them to cool. Easy peasy lemon squeezy. Get the kids and/or family involved and make it a holiday tradition. Our brownies came out moist and delicious, and just ask Madison, she couldn't wait to get her hands on them. Remember, the holidays is all about family and spending as much time as you can with them. If I could back a few years and spend the last Christmas with my mom before she passed I'd do it. You never know how much time you have with your loved ones, so spend that time with them, tell them you love them and create long lasting memories that they'll cherish forever! Looking for more recipes? 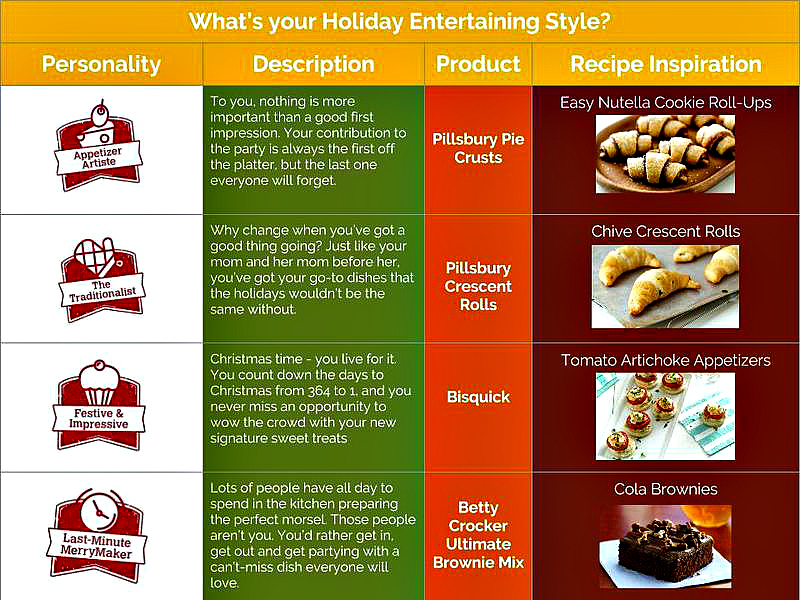 Be sure to check out Sam’s Club Holiday Recipes section! Let's discuss: Which entertaining type are you? Those sound delicious! Brownies are one of my favorite desserts, and peppermint goes perfectly with chocolate. I can't wait to make these. Those look delicious. There's no better time to be adding peppermint to everything. These brownies look so yummy. I will add them to my holiday baking list. These look so good. You can't go wrong with chocolate and mint. I was JUST the same way about Christmas...and being off of school for a nice breather/break! And - these look super yum! Love the smaller size and the peppermint. oh gosh your description of Caribbean holidays sounds wonderful! Especially rum fruit cake! My son is addicted to brownies! I bet he would love these delicious little bites! These sound so good. Peppermint and chocolate is a classic combo. These look so amazing! I will have to make these for our Christmas party this year. I love chocolate and mint. My kids could help make these too. I will add this to our list of things to do this Christmas season. I love peppermint anything! The crushed candy canes on top are a great idea! Yep! They look too yummy. I may need to head to the grocery store and pick up the ingredients now. I have a serious peppermint problem during the holiday season. I try almost anything that says peppermint. Going to add these brownies to the list. You had me at peppermint! I love anything peppermint and anything chocolate so this is so something I would love to try. I am always looking for new recipes for the holidays. I love how Betty Crocker is always available to lend a helping hand in the kitchen. These brownies look so yummy! I can't wait to make them this holiday season! And your pictures are SO cute! YUM!! i love making brownie bites they are much more fun then buying. I like this added twist of peppermint. Thanks for sharing I now have a new way to create my favorite dessert. Oh yum! Those brownies look delicious! A great thing to make with my daughter this holiday season. Brilliant! I love using the tenderizer for non-meats, personally. I love brownies with peppermint but I can't say I've ever tried the dusting. I'm a fan! I love brownie bites. We usually pick up a pack when we go to Costco. I bet the peppermint sprinkled on top adds even more flavor! these brownies look amazing! I love that you add some peppermint to give them a holiday twist- definitely going to be whipping up a batch of these this weekend- thanks for the inspiration! Brilliant! What an easy way to spice up a basic dessert! This looks SO DELICIOUS!!! Just one more excuse to make brownies..... LOL. Like i even needed one. I cannot wait to try this recipe. It looks fantastic and tasty! Kids will surely love it too. Wow! 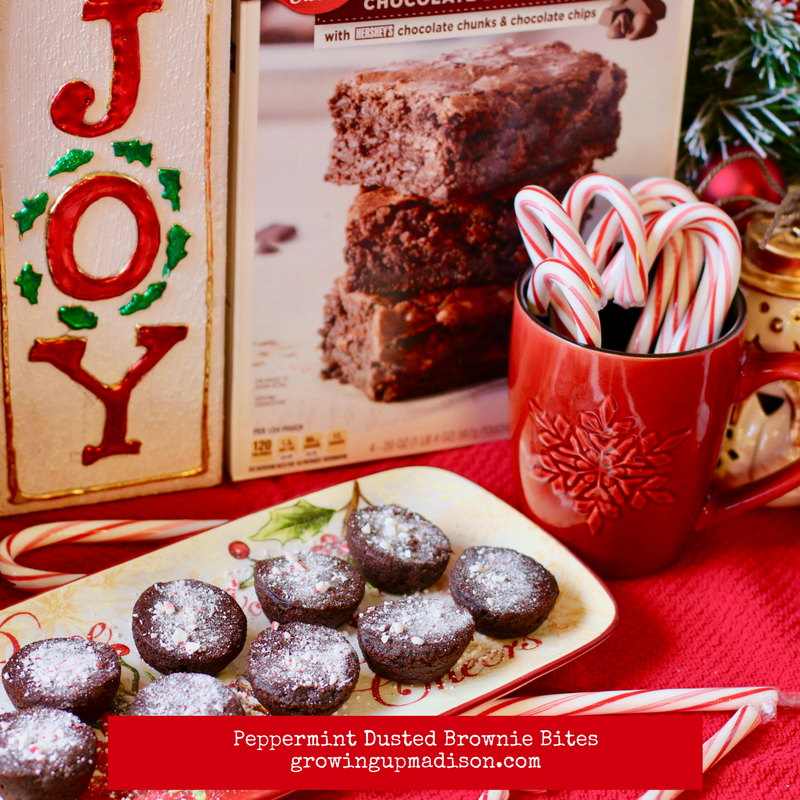 I love peppermint flavor in brownies and it would be perfect on Christmas! This sounds super tasty! I'm not a huge fan of peppermint, but just having powdered sugar on top would be delicious. I love making brownies in my Babycakes and this would be a fun way to make them Christmas ready. I never thought of adding peppermint, but I am loving the idea! These look and sound good. I'm curious what curry goat is though!! As for favorites, these dusted peppermint brownies would go on the list, no doubt about it whatsoever! The combination of peppermint and chocolate is always a winner! These will make the perfect sweet holiday treat! That sounds so good! I am not a huge chocolate eater, but I love bite size brownies and the peppermint on top is such a great addition! Those look delicious! I love this holiday twist! These look delicious! I'm definitely a last minute party person too. I love/hate the stress of a countdown! The peppermint on top of the brownies sounds perfect. Such a brilliant idea! So simple but yet adds tons more flavor! Put me down as a traditionalist. It perfectly matches up to our son's love for crescent rolls. I love brownies, so yum-yum-my! Then with this twist of peppermint? I'll be trying this soon! I love brownies!! These look so delicious and I love the Christmas twist you gave the brownies, it just makes them look even more delicious!! These look to die for, I totally love this flavor combo!I love the bite size even thought I would probably eat a bunch of them!